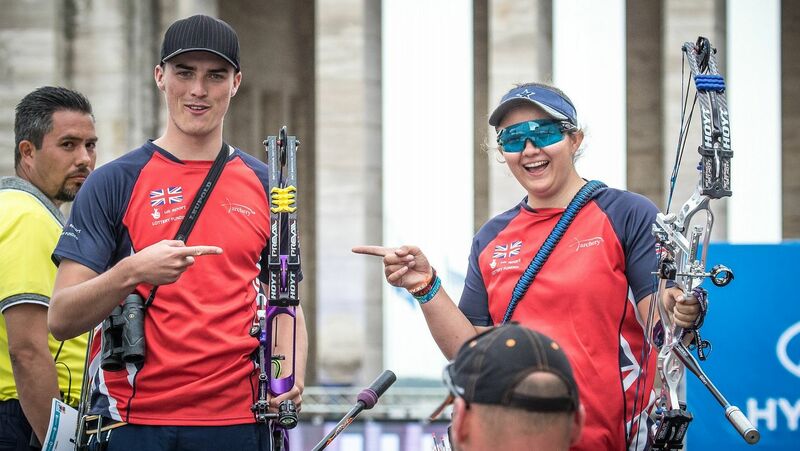 Mixed pair Sarah Moon and James Howse from Great Britain beat the USA’s Alexis Ruiz and Jesse Clayton to the compound junior mixed team gold medal at the Rosario 2017 World Archery Youth Championships in Argentina. Howse won two bronze medals, individual and mixed team, and one team silver medal at the worlds in 2015 as a cadet. 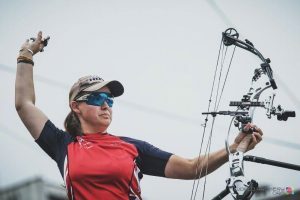 “Coming here, Sarah and I we were feeling really confident, all throughout the eliminations we shot really good, shot well together and it was exactly the same on the finals field. We just had a good time and enjoyed it,” he added. The Brits, who opened with a 38 against the USA’s 31, took a lead from the beginning and ended the match nine points ahead, 147-138. Since the format was included in the World Archery Youth Championships in 2011, only the Netherlands, Colombia and, now, Great Britain have taken the title. Britain’s Phoebe Pine, Sarah Moon and Isabelle Carpenter also took the compound junior women’s team silver, losing the final to Mexico.